ACE Mechanical Services is a full-service commercial HVAC and mechanical contractor company serving clients in the Buffalo, NY area. As experienced commercial contractors, we can address all of your mechanical system needs, including comfort heating and cooling, humidity control, indoor air quality (IAQ) and occupancy ventilation, IT systems conditioning, and manufacturing process temperature control. Proper installation of your HVAC unit is vitally important, especially for a commercial property. The commercial contractor at ACE provides start-to-finish commercial HVAC installation services for businesses throughout the Buffalo, NY area. We are commercial refrigeration, cooling, and heating experts, committed to getting every job done right. A malfunctioning heating or cooling system can be a serious inconvenience. Buffalo is known for extreme weather conditions, and having a properly working heater or air conditioner is vital for your comfort. You can rely on ACE to provide a trained technician that will diagnose and fix any type of HVAC problem in a timely fashion. We offer commercial HVAC installation, repair, and service. Summer means warmer temperatures and increasing humidity rates. When the temperatures are in the high 80s and 90s, having an AC unit that works is essential. If you are looking for reliable air conditioning repair, trust our experts for quick and efficient work. 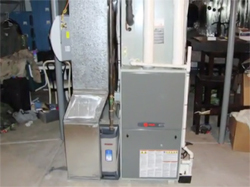 During the harsh winters, having a heating system you can rely on is a necessity. If your furnace or heat pump starts experiencing problems, you can count us for prompt heating repair. We can also tune up your system in the fall in preparation for the cold months ahead. Our primary goal is to provide maximum comfort and satisfaction for our customers. 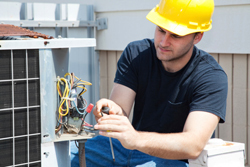 Our air conditioning contractors are trained to handle all types of repairs on all models of AC units. When you need a fast and efficient repair, call us first. To prevent any issues or inconveniences from occurring, we recommend that you have your HVAC system checked regularly by a knowledgeable air conditioning or heating professional at least once per year. We are experts in our field and pride ourselves on our knowledge and experience to meet those emergency repair needs! Ask our Mechanical Contractor About Solar Energy! Do you want to cut down on your utility bills every month while being environmentally friendly? ACE Mechanical Services can provide a fully qualified, licensed and insured mechanical contractor that will assist with a multitude of mechanical home and business improvement projects. Our in-house design solutions will help you find energy-efficient and cost-effective solutions. Consult with one of our contractors about installing a solar energy system and wind energy system! A new geothermal system will noticeably cut your utility bills. Running your kitchen is your business, but keeping it running is our business. 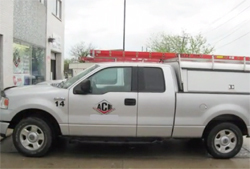 We are the primary mechanical contractors that are fully equipped to handle all of your mechanical issues for your residence or business throughout Buffalo, NY! In addition to energy-efficient commercial HVAC installations, our mechanical contractors can assist with a multitude of other projects. Everything from HVAC for IT systems to air quality control is possible with ACE. ACE Heating & Cooling residential specialists are certified in residential equipment and dedicated to customer satisfaction. Trust the professionals to get the job done right. If you are a business owner, you know that prompt repairs can save your business time and money. For instance, if your refrigerator stops working, you need timely and reliable refrigeration repair service to prevent costly losses. For a commercial contractor that works on your schedule, contact us today. Our store is conveniently located in Amherst, but we serve all of Buffalo, NY and Erie County. Contact us today if you have any questions about the services we offer or if you would like to schedule an appointment: 716-427-2500. We are a trusted commercial contractor in the Buffalo, NY area and would love to assist any of our neighbors with all of their heating and air conditioning repair needs! From refrigeration repair to air conditioning or heating repair and more, our mechanical contractor can help. Call today!